Not including my 6-month trip through Europe or my 3-week trip to Thailand, I spent nearly a year living in Scotland. I lived in Glasgow for four months before moving to Dundee. I visited Edinburgh as often as I could and did a few weekend trips away from the cities, to Fort William, the Isle of Skye, and Applecross. VEGAN = all food is free from animal products. VF = vegan-friendly, meaning vegan options are available but the restaurant serves non-vegan food. Take note that sometimes alcoholic beverages might not be vegan even in an all-vegan restaurant. Ask your server to be sure or search Barnivore.com. Despite what Avery’s Facebook page states, Avery isn’t 100% vegan or vegetarian. 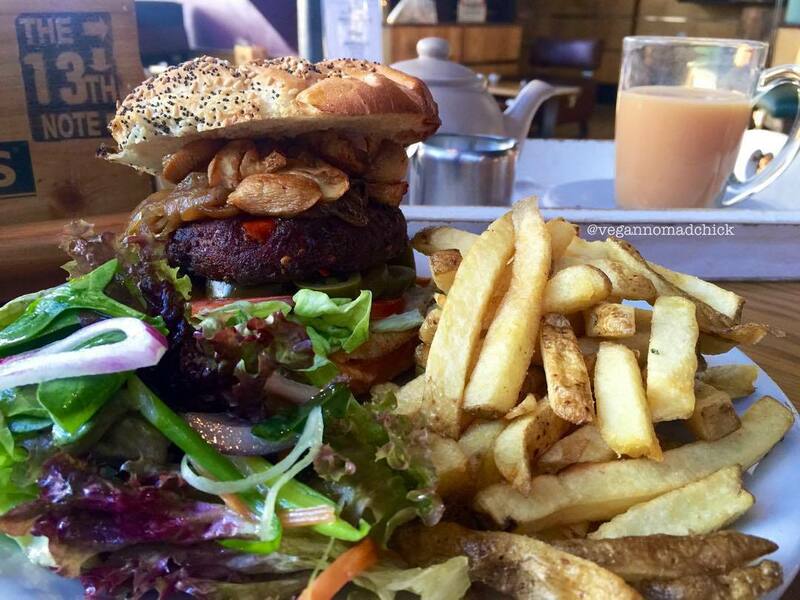 However, they do offer a dedicated vegan menu, vegan desserts, tasty coffee, and smoothies. 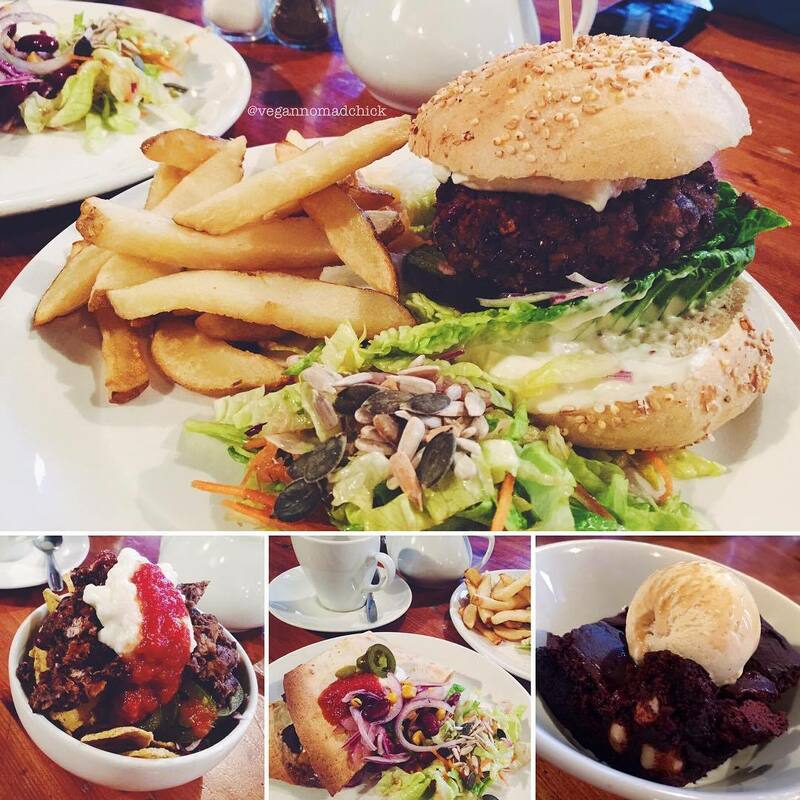 The food is good but considerably more pricey than some of the other vegan-friendly places in Dundee. In my opinion, the portion sizes should be larger based on the price of each menu item. One benefit is that it’s open later so it’s a good option for dinner. 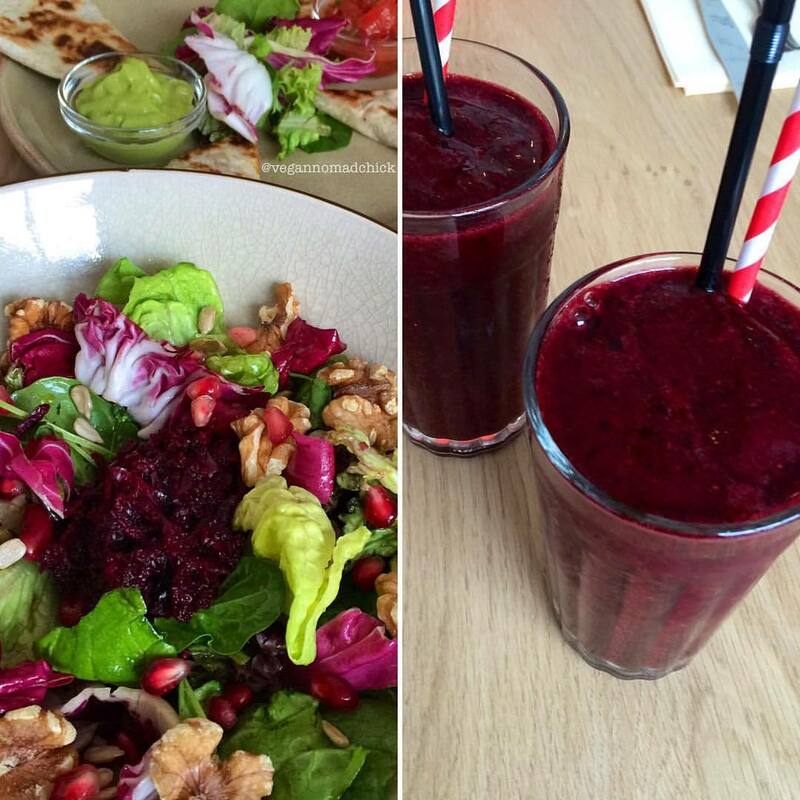 Try their burgers, the sweet potato quesadilla, and the beet smoothie. Wee Mexico graciously offered me and a friend a free meal since I had never eaten there. 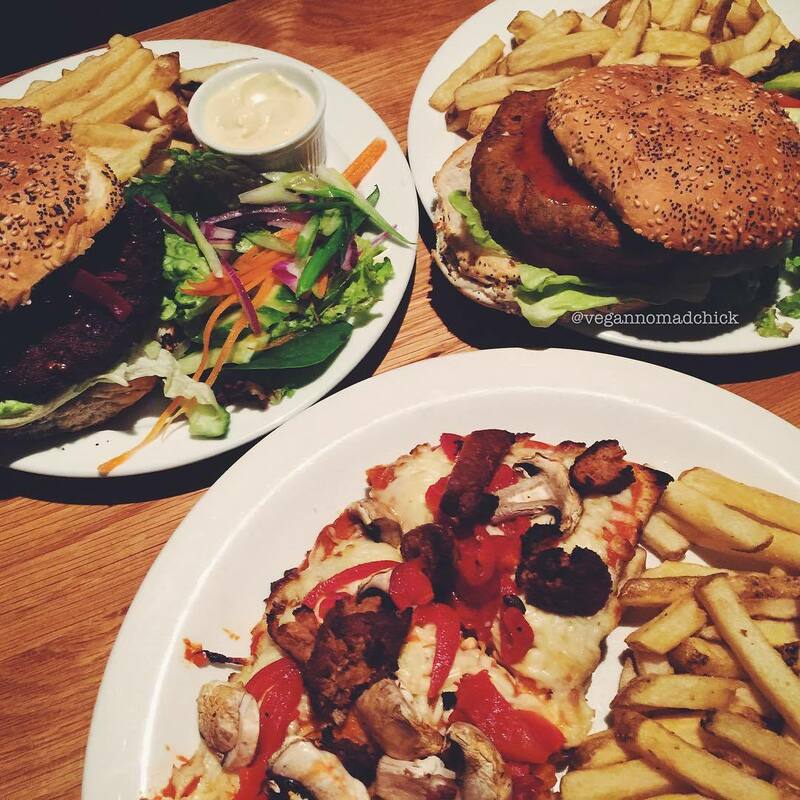 My friend Jo and I took them up on this offer and tried their veggie burrito, vegan Quorn quesadilla, and nachos. I’m grateful for the chance to try it and appreciate them reaching out to me, but I don’t plan on eating there ever again. That being said, I wouldn’t completely write off this place. I’ll go through the positive aspects of Wee Mexico before going through my reasons for avoiding it. 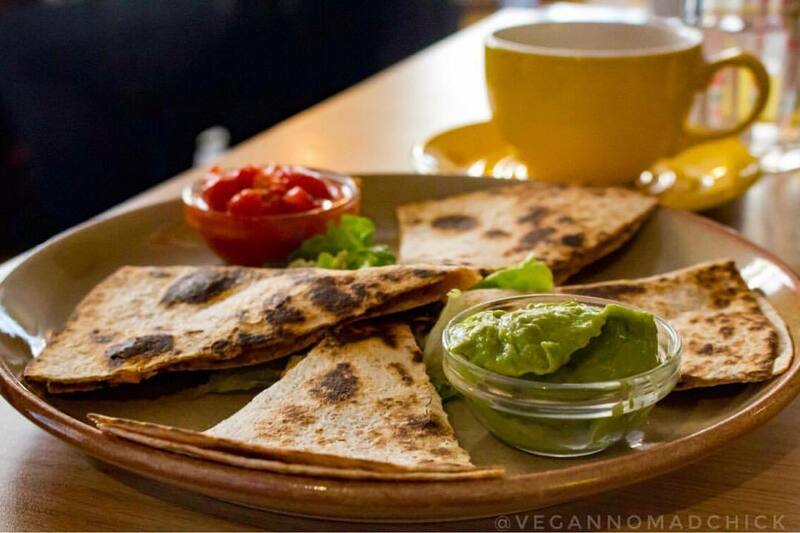 They have a dedicated vegan menu with lots of options: burritos, tacos, nachos, quesadillas, and chips, to name a few. They offer vegan Quorn (fake chicken) pieces in addition to vegan cheese and sour cream. This was my first time trying Quorn and I have to say, it was pretty good texture-wise. Not something I’d eat every day, but it was good to try it. The vegan cheese and sour cream are actually tasty, which says a lot as I rarely like the taste of those products. The food is very cheap considering the portion sizes. The food wasn’t too oily. 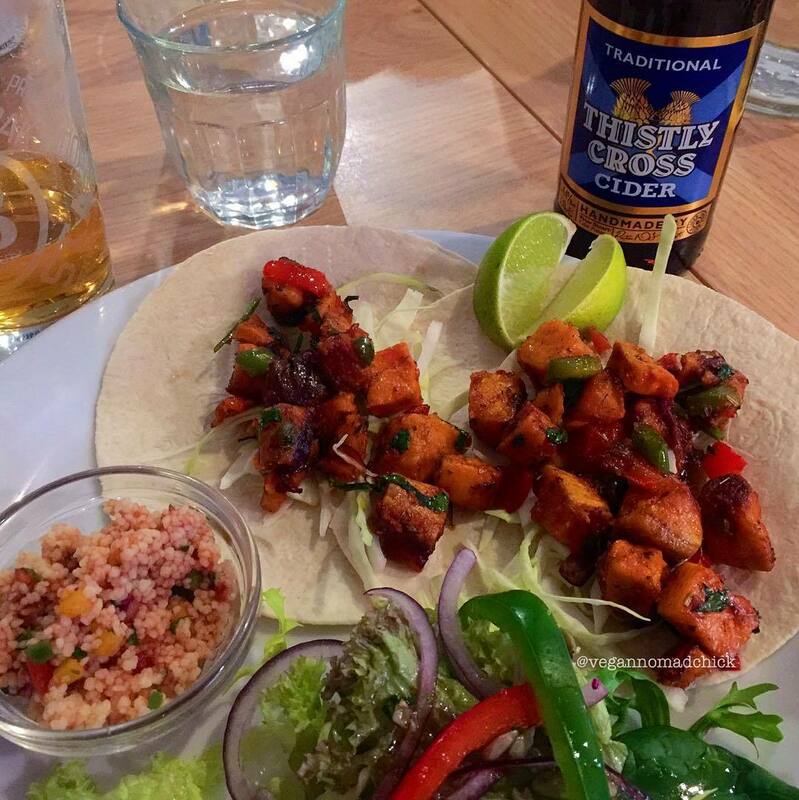 Wee Mexico is open late, which is convenient as most of the vegan-friendly cafes (like The Flame Tree Cafe) in Dundee close early. The new management is very friendly and their presence on social media is positive and upbeat. All of the food was incredibly salty. Their veggie burrito seriously lacked vegetables. Their salsa was store-bought and flavourless. It imparted the same bland albeit slightly smoky flavour (due to excessive chili powder, if I had to guess) in every dish. The vegan “beef” crumbles were also flavourless. They came on the nachos but didn’t add anything whatsoever. They only offer disposable cutlery and burritos come wrapped in foil, even if you sit in. Nachos and quesadillas are served in paper trays. If you want a cheap vegan meal and aren’t too fussed that it doesn’t represent authentic Mexican food, give this place a try. For what it’s worth, the toasted burrito at The Flame Tree Cafe was immensely better than the burrito at Wee Mexico. I suggest paying a few extra quid and eating there instead. Go here for the largest mountain of nachos you’ll ever see in your life. Seriously, you won’t be able to finish them! 😀 Also try their burritos and Scottish breakfast. 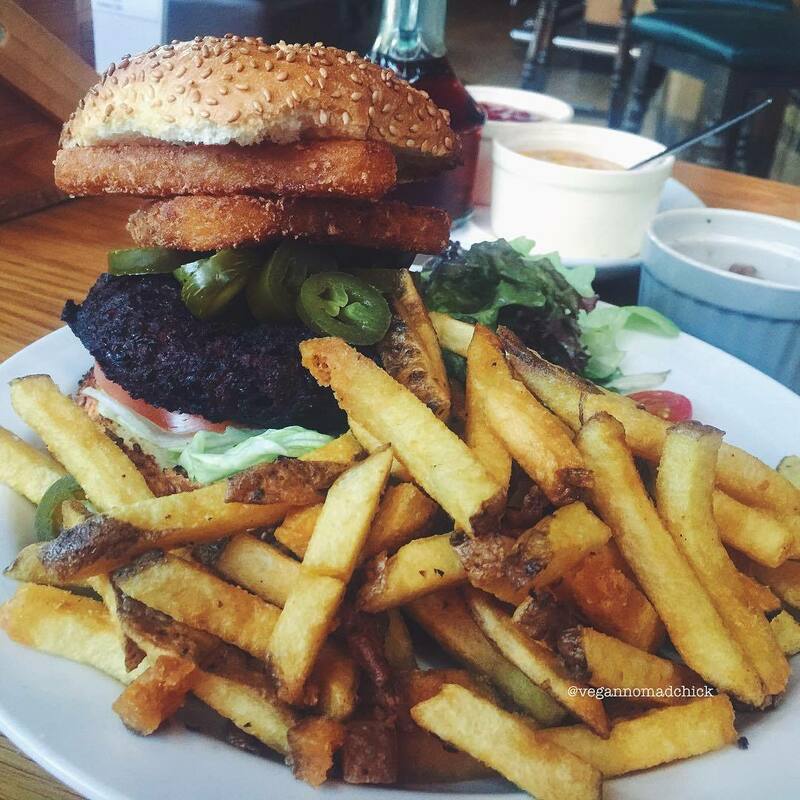 Auld Hoose is a comfortable pub with plenty of seating: a perfect place to meet up with vegan and non-vegan friends for a drink and a bite to eat. Vegan gelato anyone? Yes, please! 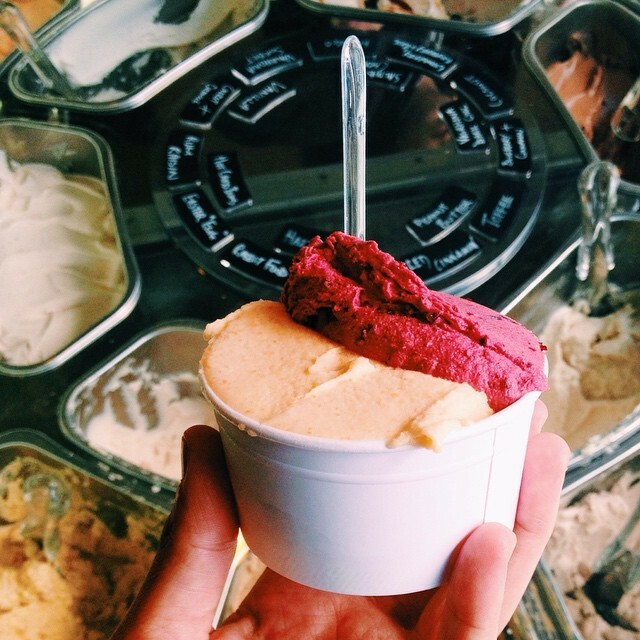 Affogato offers several handmade flavours of vegan gelato, all spinning around in their rotating display case. 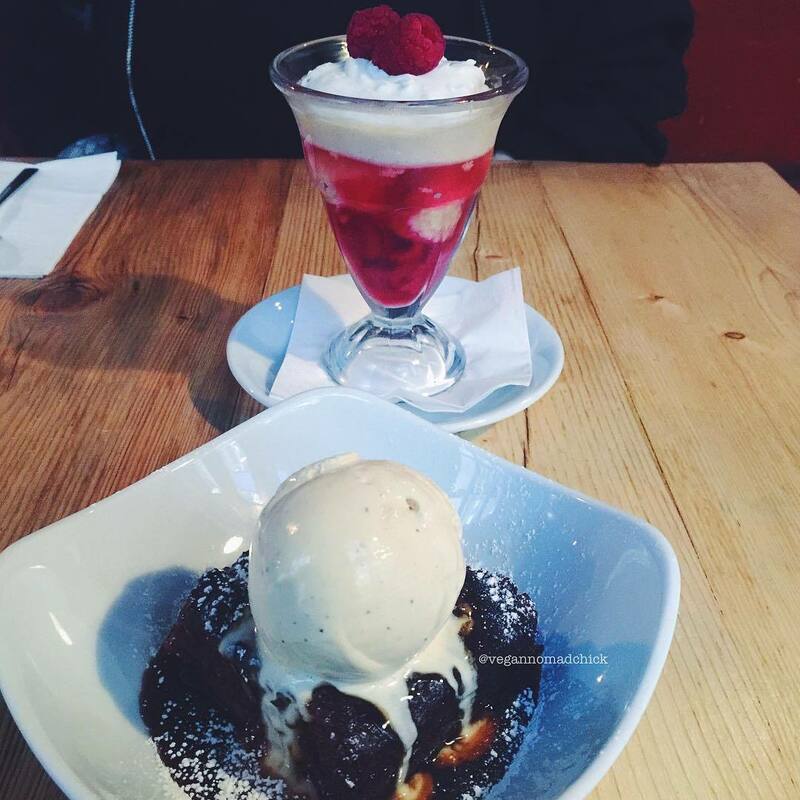 Affogato also serves tasty raw vegan desserts, milkshakes, and made-to-order waffles. 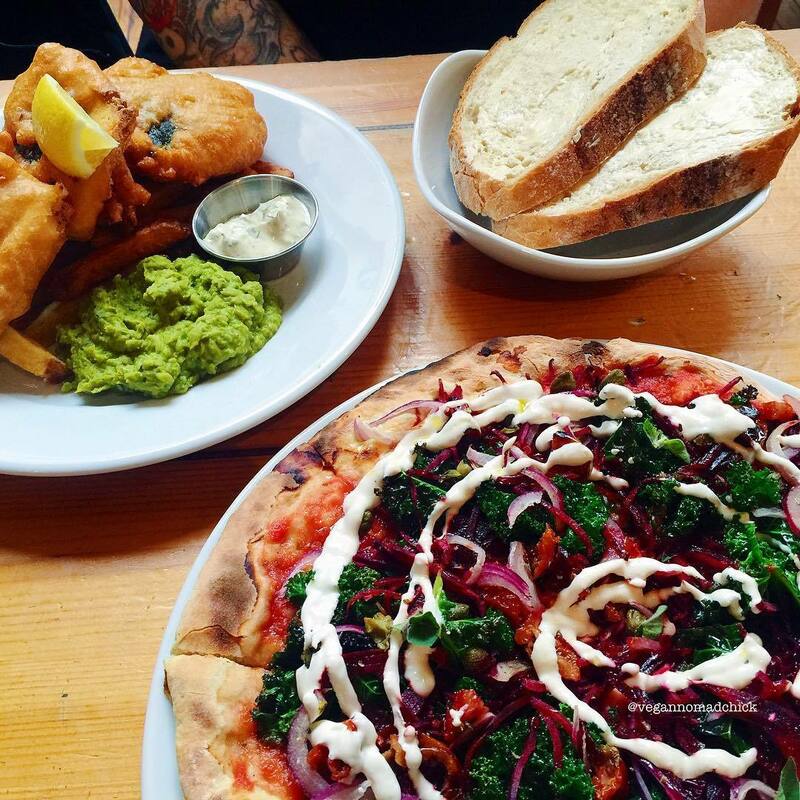 This is a pub, so it’s a good place to meet up with your vegan and non-vegan pals. Brass Monkey has something for everyone. There are two Brass Monkey locations in Edinburgh but I’m not sure if both serve food. I did savour a chili dog with chips at their Leith Walk location so I recommend checking that out first. This is my favourite breakfast spot in Edinburgh. If you are craving a traditional Scottish breakfast, look no further. They offer a vegan breakfast menu all day. 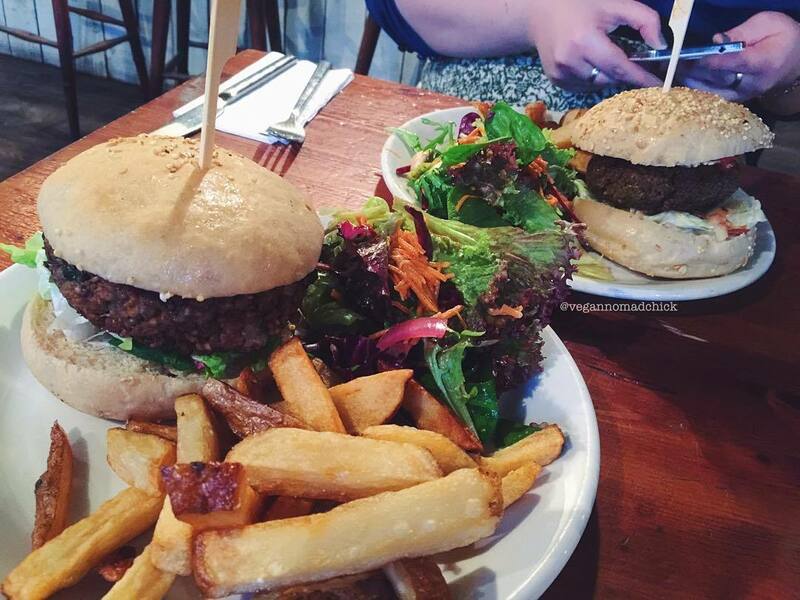 All of their vegan sausage links, lorne, and burgers are made in-house. 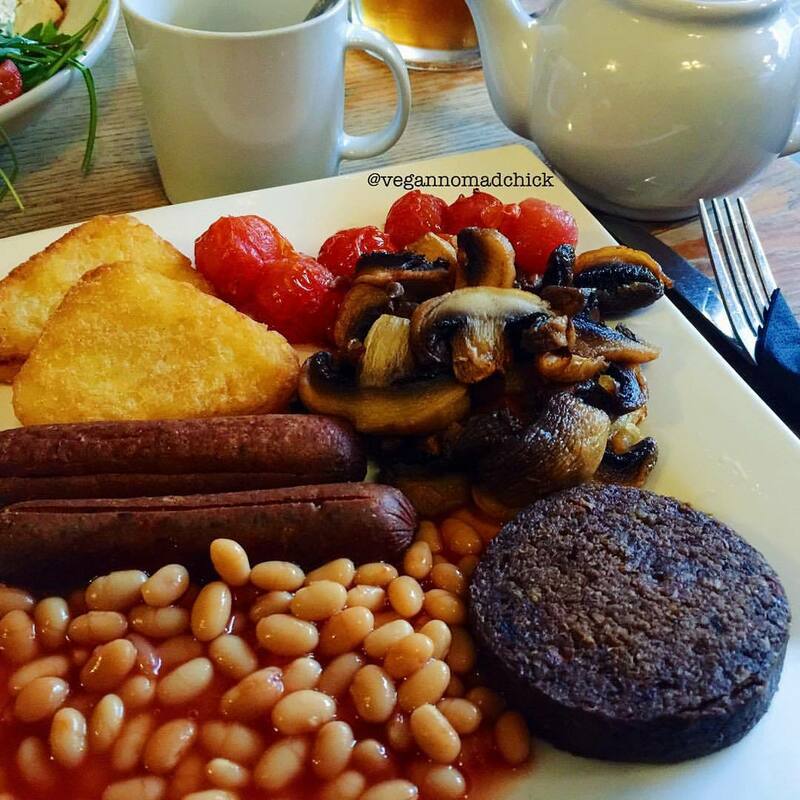 I recommend ordering the full vegan breakfast which includes sausages, haggis, tattie scones, grilled tomatoes and mushrooms, and plenty of toast with Vitalite spread. Yum. 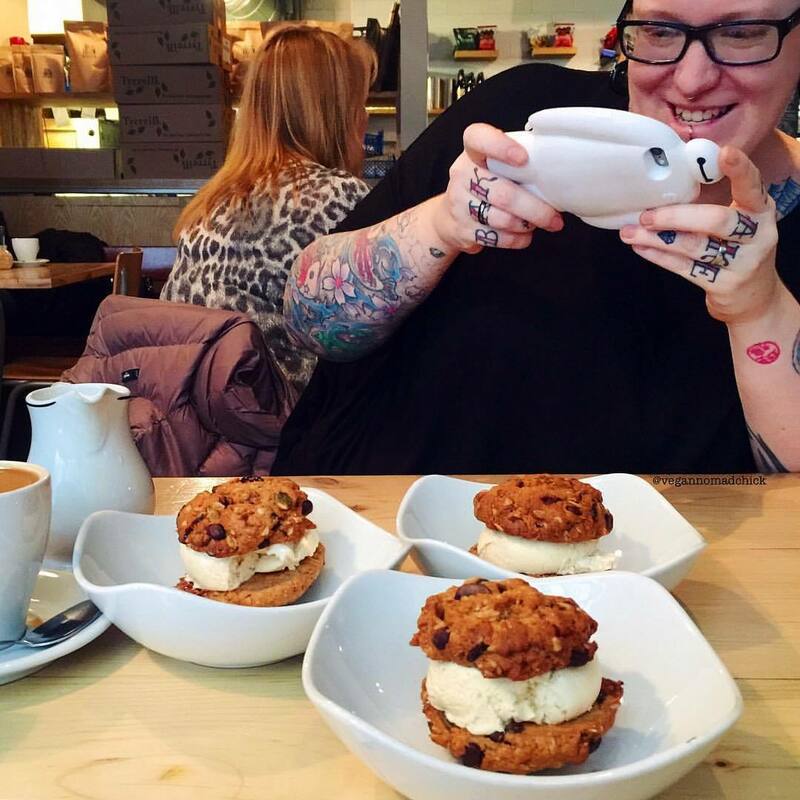 Brew Lab is my favourite coffee shop in Edinburgh. I’m a mocha fiend and their mochas are to die for. They use a fancier soya milk (the champagne of soya according to their friendly baristas) so their mochas are so very smooth. The chocolate is dairy-free as well, so enjoy all the mochas you want. If you are more into lattes, take note that Brew Lab doesn’t offer any flavoured syrups. 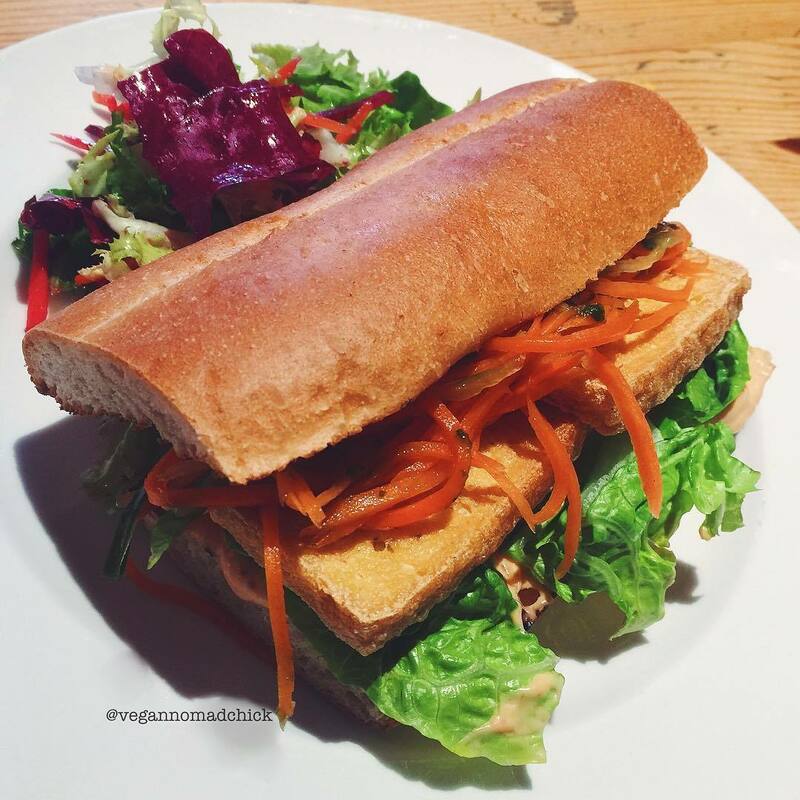 They always have vegan options for breakfast and lunch, including avocado toast (order without feta), baguettes, and soups. And if you’re lucky, you’ll find vegan cake! 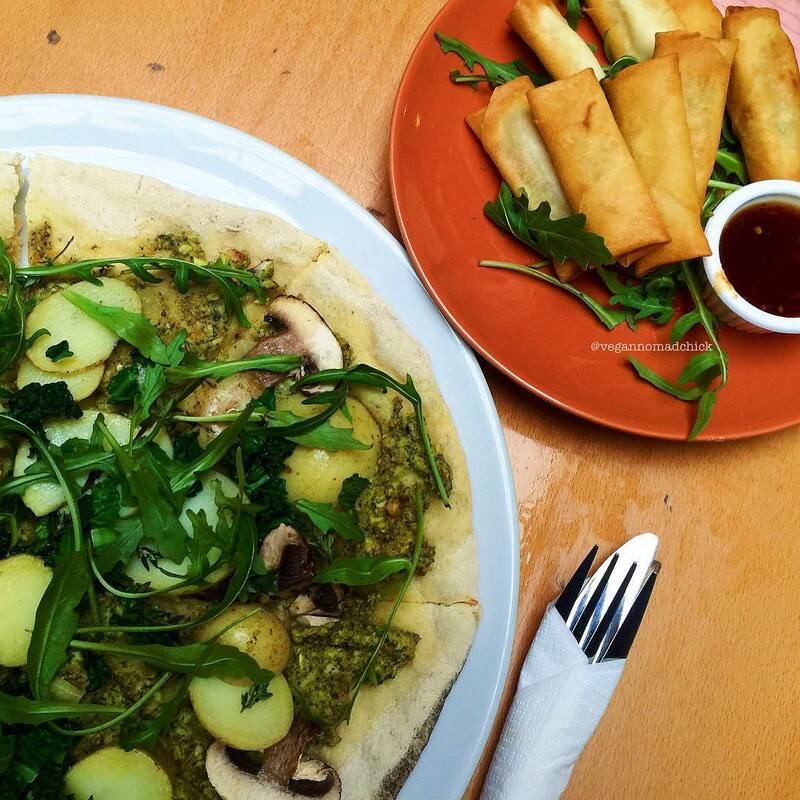 This wee cafe offers several vegan options, including vegan toasts for breakfast or wraps and bagel sandwiches for lunch. 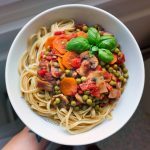 Try the vegan club if you are super hungry. This is one serious stack: grilled veggies, tomato, spinach, avocado, and carmelised onion hummus layered among three (yes, three!!) slices of homemade bread. Affogato is right down the street, so leave extra room for dessert and have a scoop or two of vegan gelato following lunch. This volunteer-run cafe doubles as a collaborative art and music space. It’s nearly vegan save for the cow’s milk and cheese for coffee and burritos. 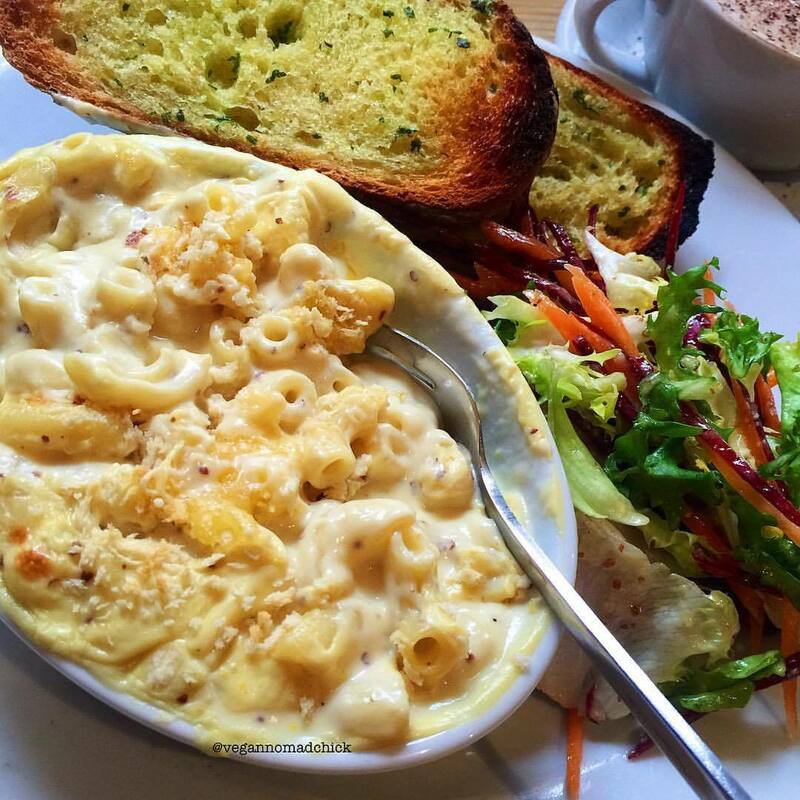 This is my favourite lunch spot in Edinburgh as the food is delicious and affordably priced. Go here for their falafel wrap and soups but stay for the music and good vibes. 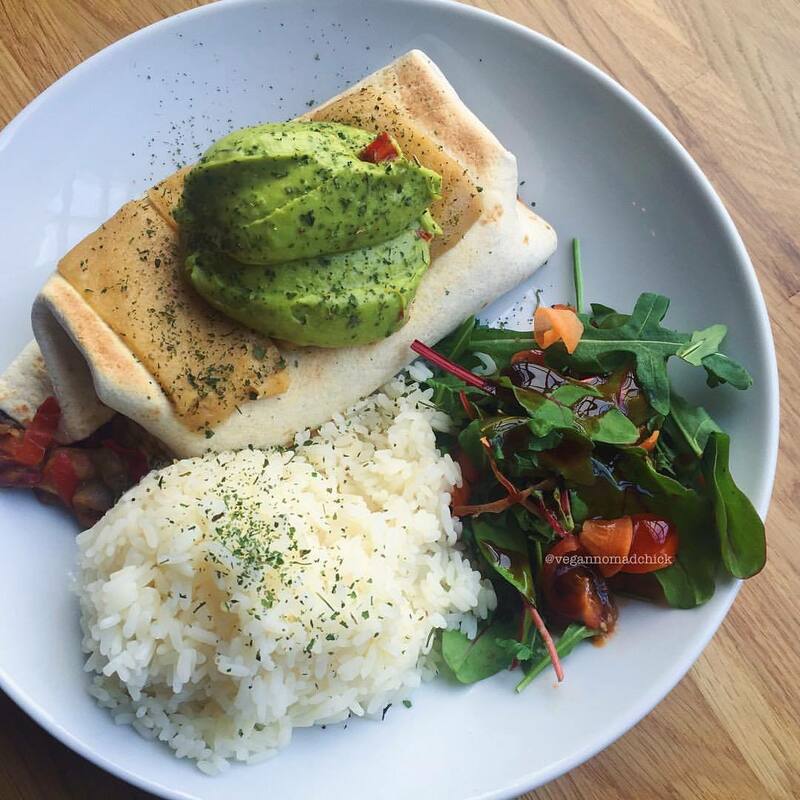 Conveniently located near Waverley Station, try their fresh juices and smoothie bowls if you are looking for something fresh, healthy, and minimally-processed. I’ve heard they also do raw salads and other raw desserts but I haven’t tried them myself. 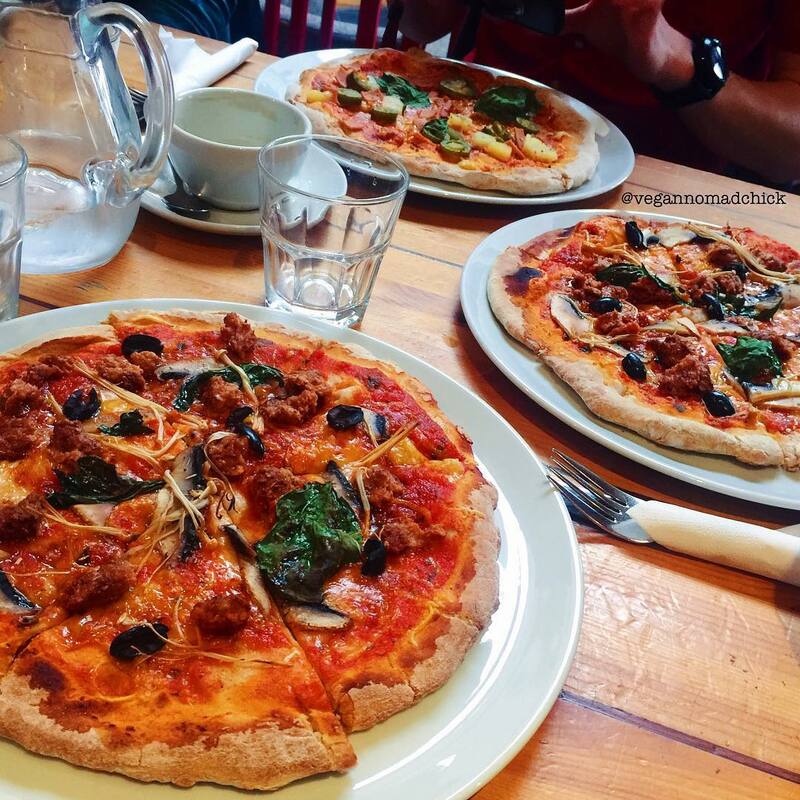 This isn’t my favourite vegan pizza by any means (check out Mono in Glasgow for that) but if you like super greasy pizza or pasta, check out Nova. 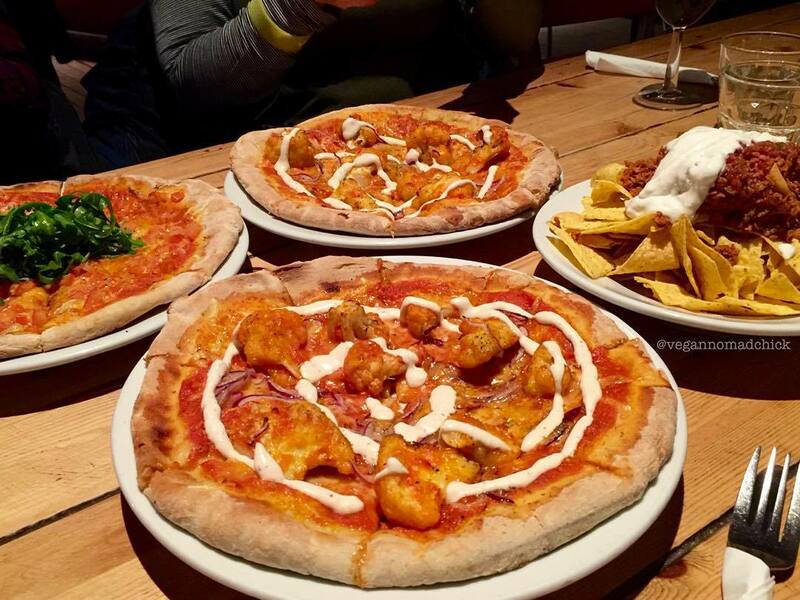 In my opinion, Nova uses far too much vegan cheese on their pizzas, hence the super greasy part, but some people like stodgy pizza like that. 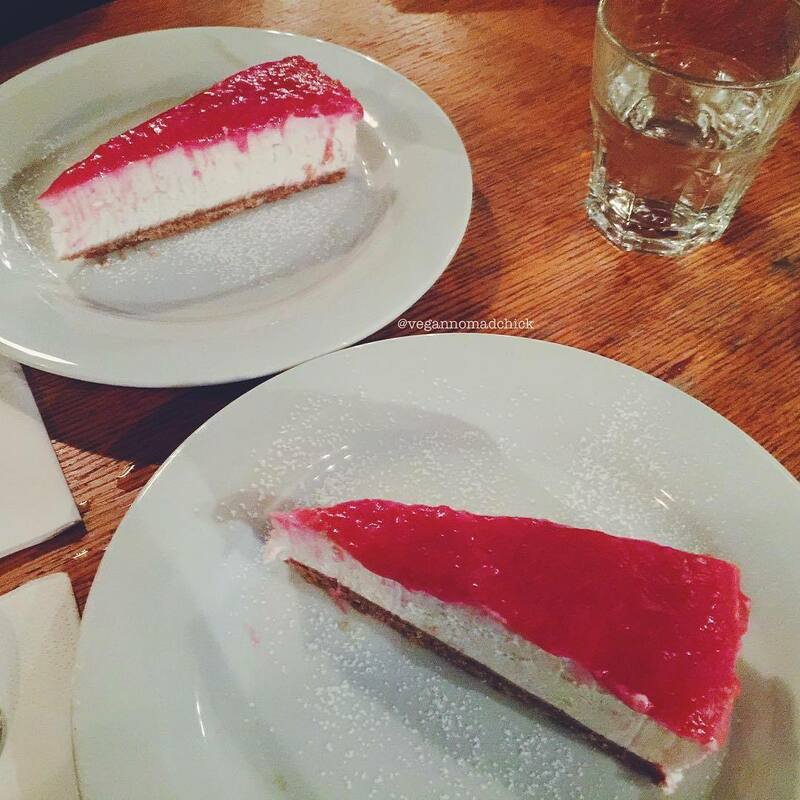 😉 They also have vegan desserts like cheesecake. Seating is quite limited as it’s a small place. They have several vegan options on the menu. The samosas were my favourite as it came with chana masala. All the food was deliciously spicy but too oily for my sensitive stomach. I should have known as pakoras are fried fritters! I recommend ordering one thing instead of two as they’re very filling. I only managed to eat half. This wee cafe is mostly raw. 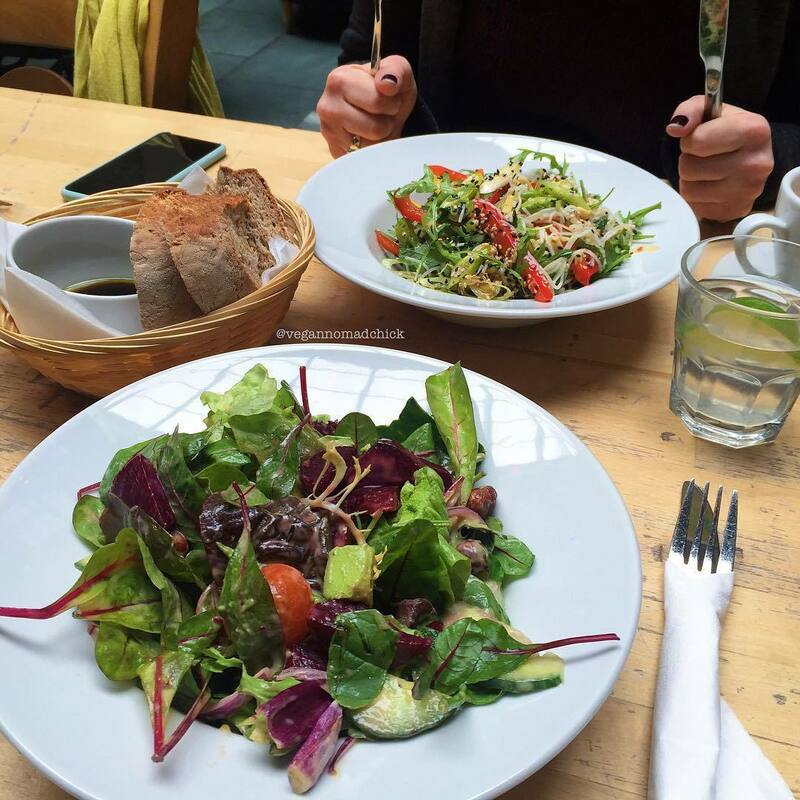 Try their raw cakes and salads but bring your appetite or a friend! Their cake slices are massive. The 78 offers a cosy atmosphere with a fireplace and comfy seating. Expect to be greeted by a dog or two as The 78 is dog-friendly. Try their burgers and nachos. 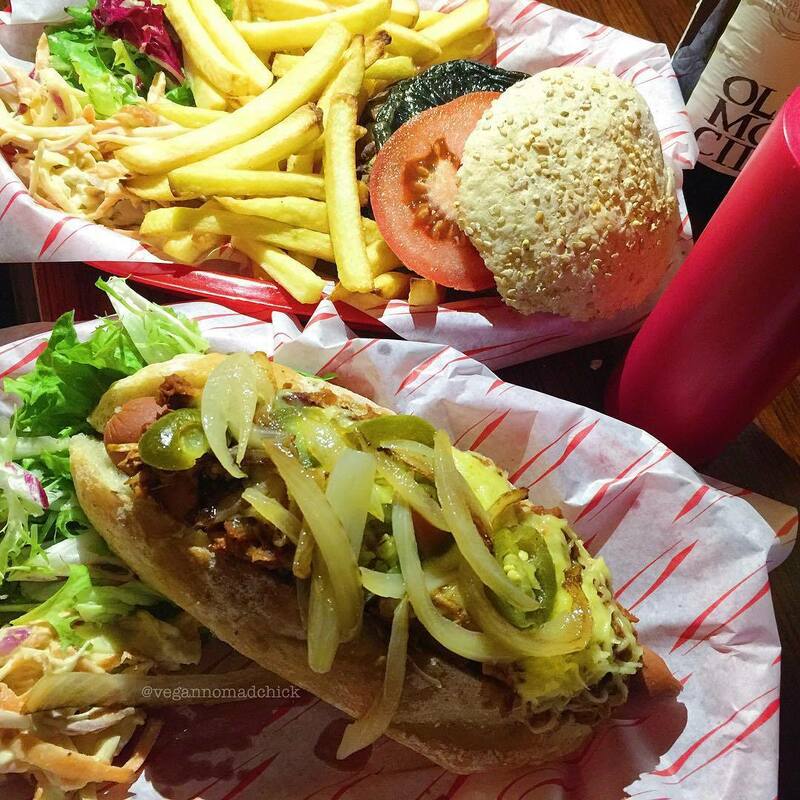 The Flying Duck is located right around the corner from Cineworld cinemas. Flash them your ticket stubs and get 20% off your bill. 😉 Their food isn’t pretty but it’s tasty if you’re looking for something stodgy. 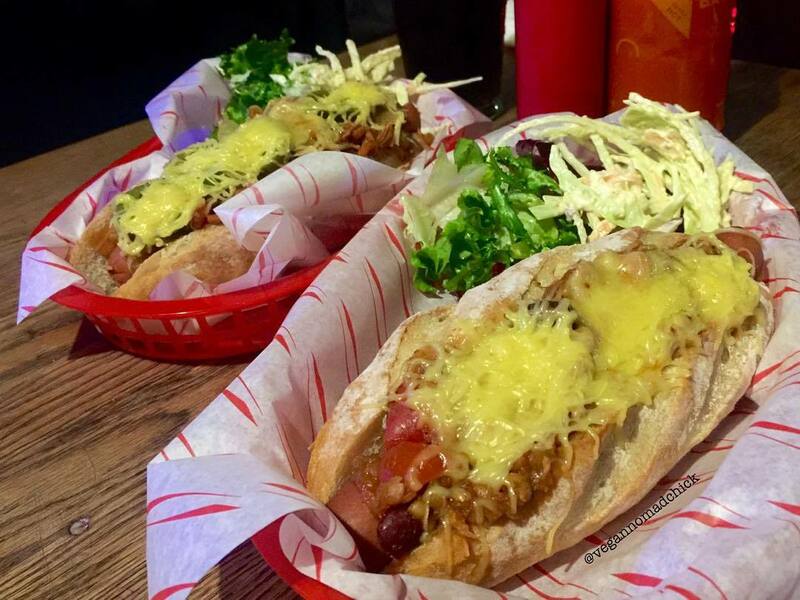 Try their chili dogs but only if you aren’t concerned with making a mess because these dogs come loaded. 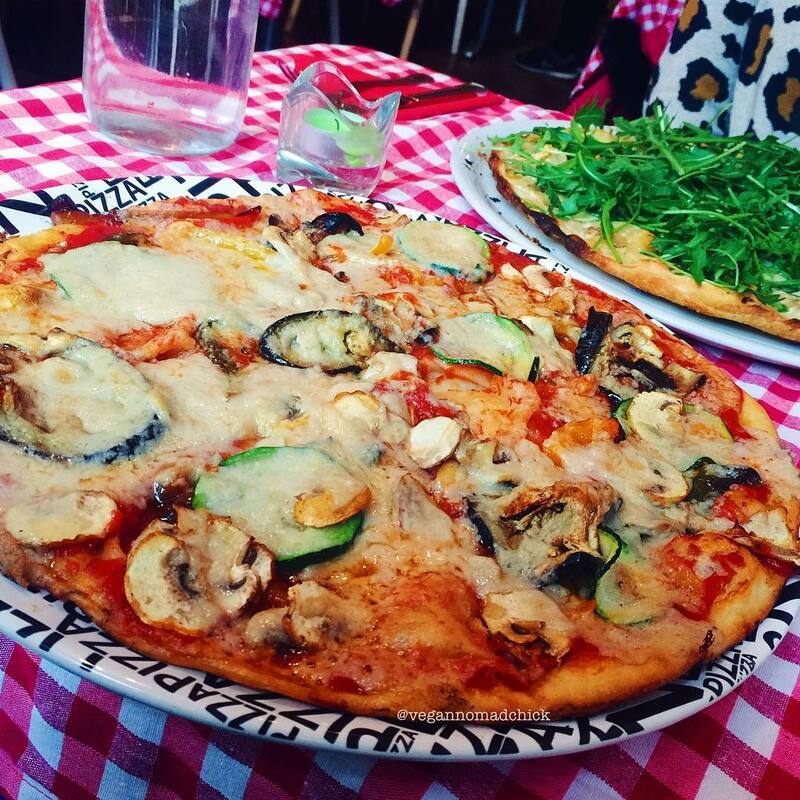 If you have a hankering for vegan pizza, head straight to Mono. Their pizza is hands-down my favourite in Scotland. 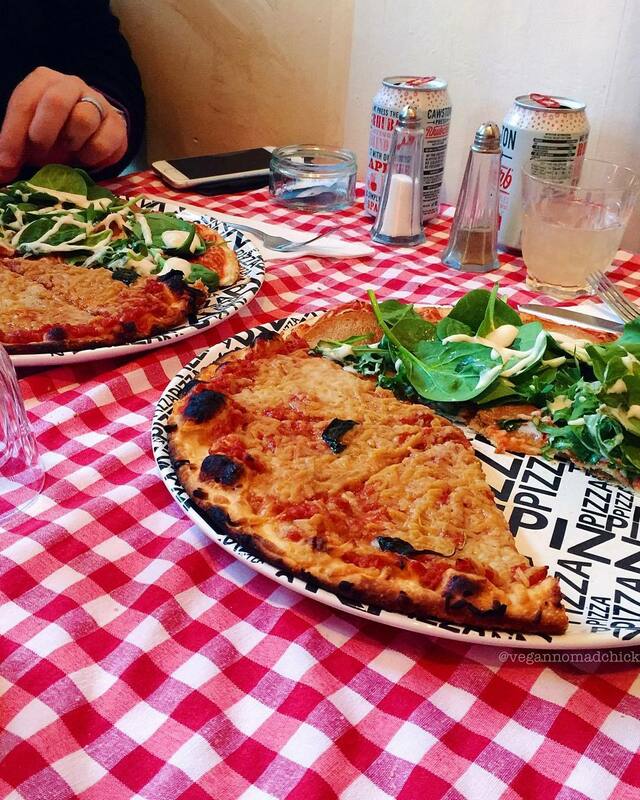 Yes, it’s even better than Novapizza in Edinburgh. 😉 You also can’t go wrong choosing any of their daily specials. If you are looking for something substantial, order the to-fish ‘n’ chips. Mono is dog-friendly with nice casual vibes. Inside you’ll find a small independent record shop, a few comfy couches in addition to regular table seating, and a wee microbrewery where they brew their own ginger beer and lemonade. Reservations are recommended as it’s very popular. 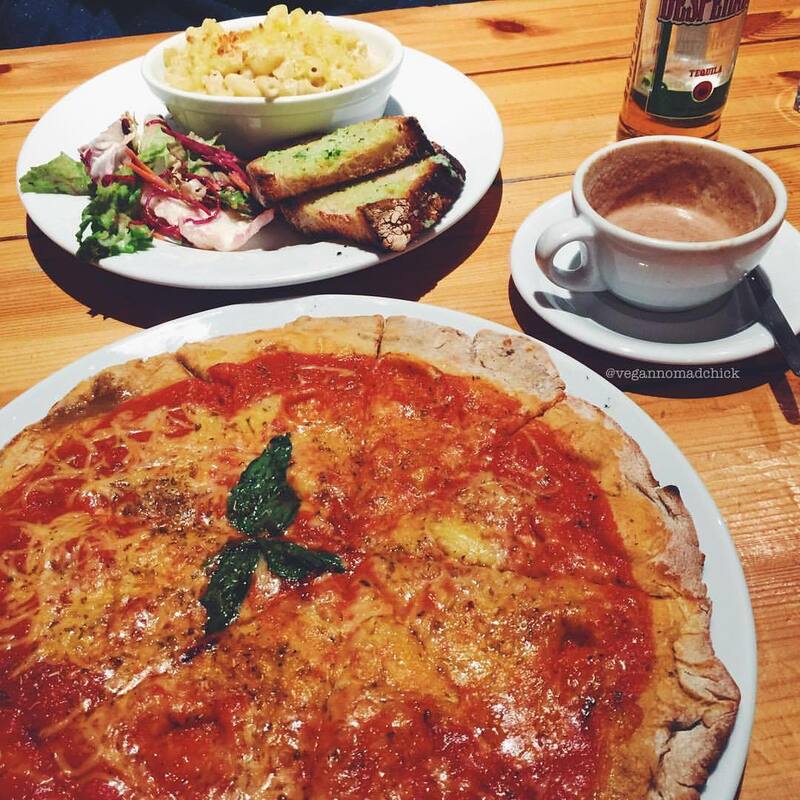 Saramago Cafe is tucked away in the Centre for Contemporary Arts right on Sauchiehall street. They serve a special brunch menu every Sunday. This would be a nice place for a dinner date. Try their haggis balls and the freshly baked bread. After dinner, have a drink or two in the bar upstairs. 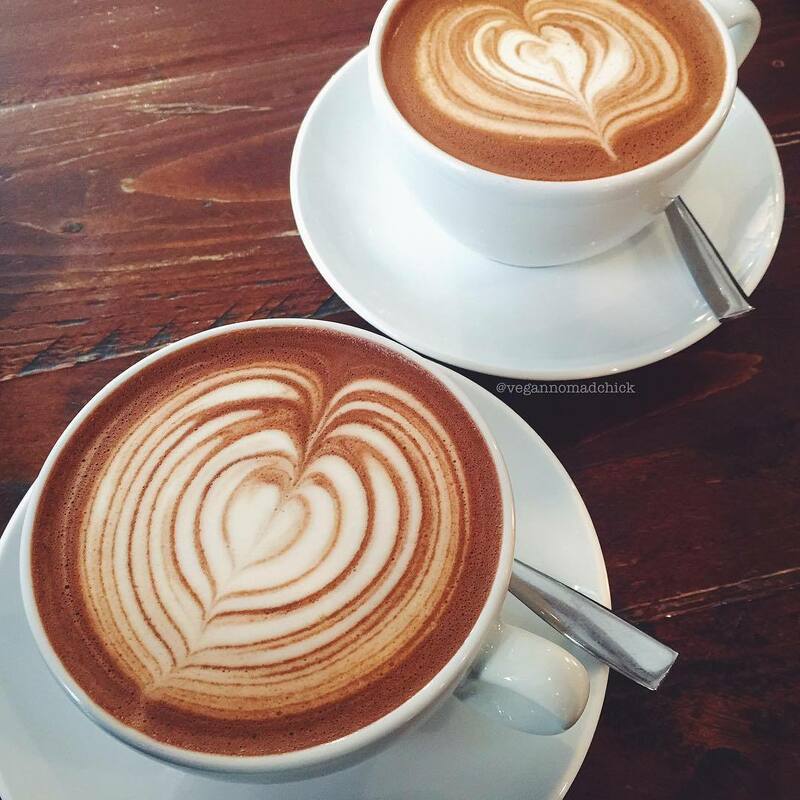 If you are looking for a decent soya mocha or latte in the city centre and want to sit in, head to Stereo. 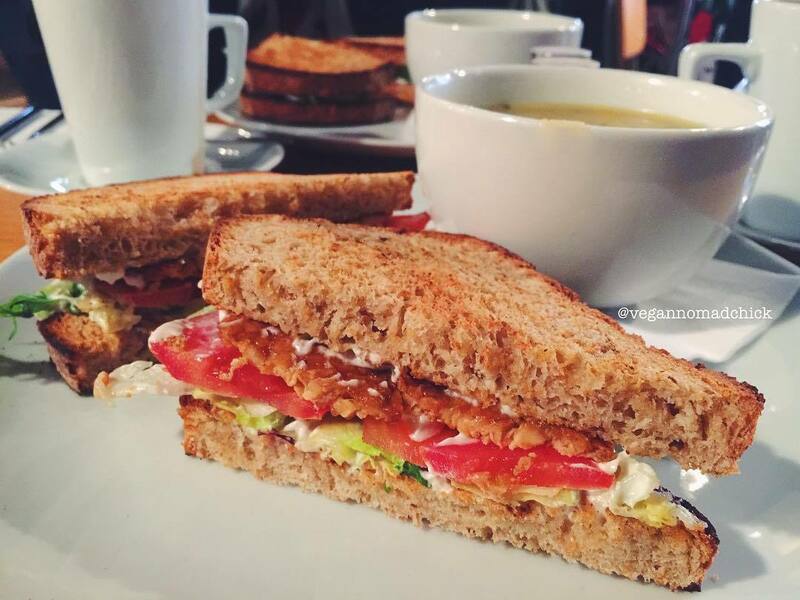 Try the TLT (crispy smoked tempeh, lettuce, and tomato) on Stereo’s toasty homemade bread for lunch. Their soups are amazing as well and come with several slices of bread. Just try the bread and thank me later. 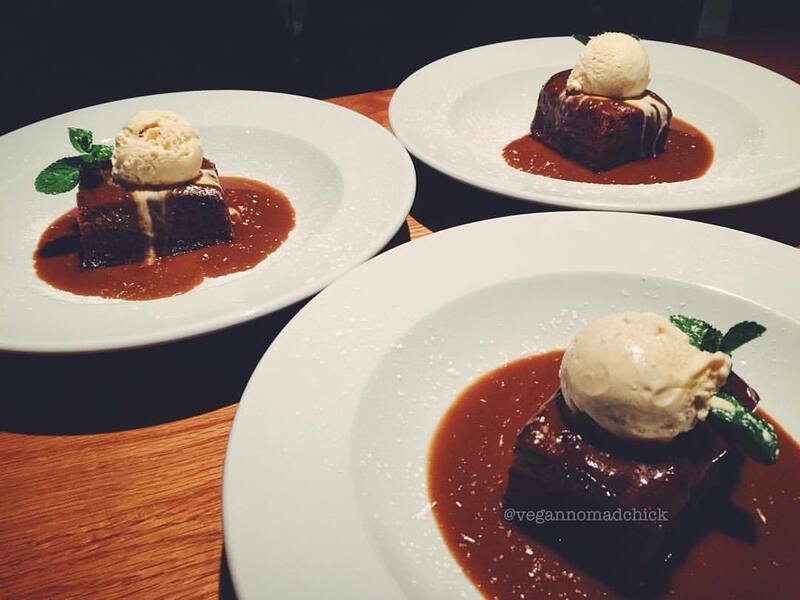 😉 Their daily dessert specials are not to be missed!